This week, Your News to Know gathers the top news stories from the world of finance and the gold market. Stories include: the Rothschild family ups gold bets, gold buying in India picks up ahead of festive season, and Arizona government is now looking at gold bonds. Chairman of RIT Capital Partners and noted investor, Jacob Rothschild, is the latest money manager to stress the importance of capital preservation in current times. In a letter sent to shareholders last week, Rothschild explained his stance and which assets he considers to be most valuable. “In times like these, preservation of capital in real terms continues to be as important an objective as any in the management of your Company’s assets,” Rothschild said. The firm recently reduced its exposure in equities and the Pound Sterling to 44% and 25%, respectively, as well as reducing its U.S. Dollar position despite the latter’s rise. Regarding once-popular asset classes, Rotshchild continued: “We are therefore in uncharted waters and it is impossible to predict the unintended consequences of very low interest rates, with some 30% of global government debt at negative yields, combined with quantitative easing on a massive scale.” The famous money manager also outlined the risks involved with these assets: “Nearly all classes of investment have been boosted by the rising monetary tide. Meanwhile, growth remains anemic, with weak demand and deflation in many parts of the developed world,” he said. To combat global tumult, RIT Capital Partners is going in a new direction by focusing on gold and other precious metals. Rothschild said that the firm increased its exposure to these metals by 8% by the end of June, listing the post-Brexit era, the upcoming U.S. presidential election, slow growth in China and unrest in the Middle East as just some of the factors that show a bright future for the metal. The firm’s increased exposure to gold seems to have already yielded results: RIT Capital Partners’ net assets now amount to £2.6 billion with a 3.6% increase in overall net asset value, something Rothschild described as a “new all-time high”. Both India and China are seeing a moderate increase in gold demand ahead of the countries’ holiday seasons. Gold dealers in India narrowed their discounts to $52 an ounce from last week’s $60 as jewelers started stocking up in preparation for the festivals. The holiday season, along with monsoon rains that are revitalizing rural areas, is expected to make up for the country’s lackluster demand for the yellow metal during the first half of 2016; two-thirds of India’s gold demand comes from villages and the festive quarter ending in December usually accounts for a third of India’s yearly gold sales. “Large jewelers have started building inventory for the upcoming festival season. In coming weeks, demand is expected to pick up further if prices remain stable at the current level,” said a Mumbai-based bullion dealer with a global bank. In China, bullion prices in top consumer areas held a steady premium of $1.50 an ounce to the global benchmark while Hong Kong premiums went down to 10 cents an ounce from the previous 20-60; these are in preparation for the upcoming festival in September, typically a peak season for Chinese jewelry fabricators looking to build their inventories. Singapore also saw premiums rise to 50-60 cents from 20-30 cents last week, albeit with a larger focus on global uncertainty. “Physical side is seeing some inquiries and most of them are looking with a long-term perspective as there is too much uncertainty in the market,” said Brian Lan, managing director at Singapore-based gold dealer GoldSilver Central. Widespread negative bond yields have forced the government of Arizona to consider a potentially groundbreaking alternative: The state recently put together a committee to look into the possibility of issuing a Treasury bond payable in gold. Despite gold prices rallying by over 25% to begin 2016, committee member Keith Warner isn’t overly concerned with gold as a speculative asset. Instead, Warner hopes to use the metal’s reliability to improve both the country’s monetary system and Arizona’s economy, as the state is currently at $10 billion of debt. Weiner also proposed a way to increase the state’s gold reserves without reliance on buying: Arizona would make use of current laws that allow tax collection in gold and silver to receive its 2.5% severance tax in gold bullion. “That tax can provide the state a gold income stream, which is what you need to amortize the gold bond,” said Weiner. 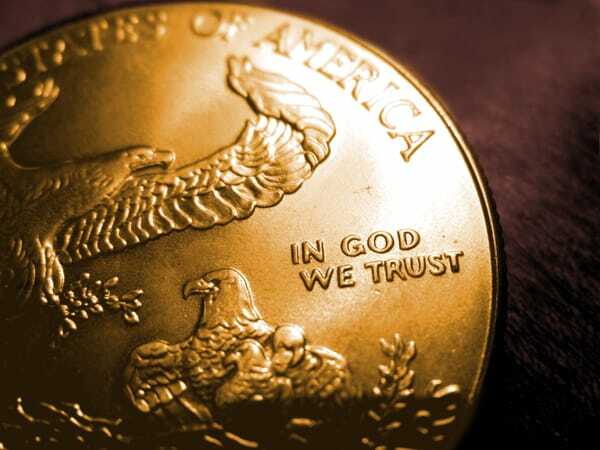 It’s no surprise that Arizona would look to use gold in its monetary system considering the state’s close relationship with the yellow metal: It hosts several billion-dollar mining companies and has historically produced 16 million ounces of gold. Previously, Arizona made two attempts to introduce a gold and silver tender, but both were vetoed by two Governors.